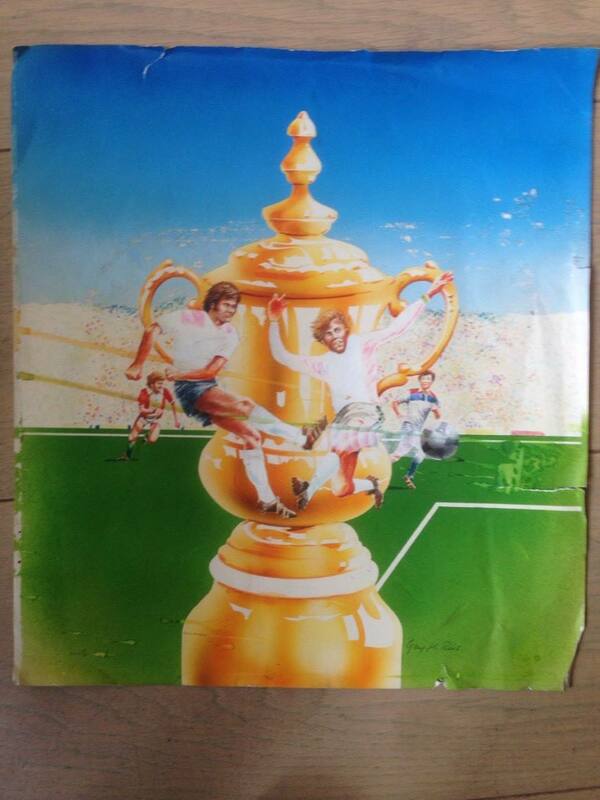 I posted a photo of the Football Manager painting used for the original inlay cover of Football Manager in 1982. A lot of you enjoyed the nostalgia of seeing the painting, and I thought it would be good to write about how it was created. At the time the game had only 2 colour printed inlays. I went to W.H. Smith head office in London to talk about them stocking the game. The buyer insisted I had to add full colour inlays to the game. I agreed to this. At the time I had no car, and was still doing a full time day job. I contacted a local printers in Bletchley, Milton Keynes where I lived. To go to see the printers about creating this inlay, I had to take two hour lunch breaks and head in by bus and back. I had an image in mind for the cover, the F.A.Cup, combined with player action in front of it. So I described that to the artist and he produced it. I was uncertain on choice of colour so two were created, one with the gold FA Cup, as in the photo, and one with a silver version. I still like the gold best. So the artist produced it. 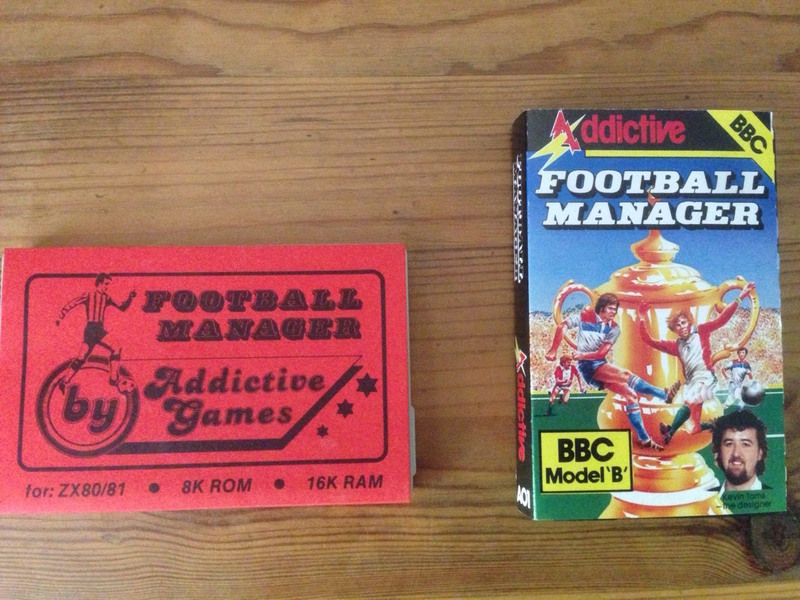 It was combined with the text and the full colour Football Manager inlay came into being. Then I could get the whole thing duplicated for stocking in W.H. Smiths. Interestingly in the first couple of months the game was stocked in W.H. Smith, the sales were much more than my then annual salary, and for the first time I could think about giving up my day job!! Previous postKevin Toms playing Football Team Coach, and losing! Next postKevin Toms Football – renaming the game, why?